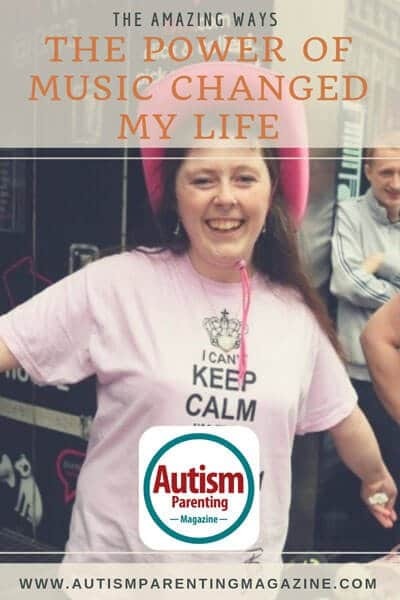 Now I had a new title, I was no longer just a girl with autism, I was The Shires’ “number one fan” and I could do anything. From a very young age I could tell I was different. Everyone else always seemed to know what to say or the correct way to act, whereas I found social situations awkward and confusing. I’ve always struggled to make friends. Growing up, I found that people didn’t seem to have time for anyone who couldn’t instantly reply. They would give up and move on to someone else. Whilst every other teenager would be going out with friends to parties, the cinema or shopping, I would be stuck at home playing Taylor Swift’s album Fearless on repeat, crying in my room because I felt so invisible and alone. I felt like an alien from another planet who just didn’t just didn’t belong in this world. Why did I hate change so much? Why did I get so obsessed with things? Why did I flap my hands up and down when I got excited? 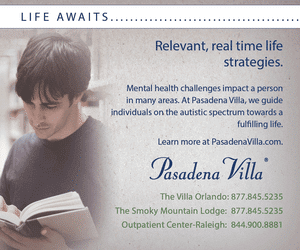 When I was 16, I was diagnosed as being on the autistic spectrum. I remember when my parents told me I had no idea what it was, so I looked it up on my computer. In that moment it was like 16 frustrating, confusing years of unanswered questions were suddenly answered in seconds. It was like I was reading about myself. It was such a relief – I wasn’t a freak. I was autistic. I’ve always loved music. In a world that is such a huge and scary place, music is the one thing that makes me feel safe. It’s familiar and comforting. It makes me feel happy and picks me up when I’m feeling down. I got into country music at 15, when I first heard Taylor Swift. I always thought country music was people like Johnny Cash and Dolly Parton, but then I heard a song called Love Story on the radio and instantly fell in love with the song and singer’s voice, from that day on I became a huge Taylor fan. I started listening to other country artists and became hooked. Whilst everyone else my age in school was listening to pop songs, I was the odd one out, listening to country music. I discovered UK country music duo The Shires on YouTube in 2015, and when I clicked on their song Only Midnight, my life completely changed. I didn’t know who the lady was singing, but I was convinced she was an angel from heaven. Crissie Rhode’s voice was just the most beautiful I’d ever heard, I listened to more songs, looked them up and my obsession with The Shires began. I met Crissie and Ben (Earle) for the first time at the big Country 2 Country (C2C) festival at the 02 in London that year. I was standing in the meet and greet queue, and when they came out, I got so excited it took everything not to scream at top volume. When it was my turn, I stood there frozen to the spot, trying to comprehend the fact that my idols, the two people who in a short period of time had become my whole entire life, were standing right in front of me. In my excitement, I flung my arms around Crissie (I love hugs), it’s my way of saying hi. It’s also a way for me to help relax and let out my excited energy, and more than anything I just love the feeling of them. I’ve met The Shires so many times now, and every time I run up and hug them, it’s become such a thing they now expect it and open their arms whenever they see me. They are truly the nicest, kindest, friendliest most caring, patient people you’ll ever meet, and whenever I’m with them, I literally feel like I’m floating on cloud nine. Being autistic I’ve always struggled to deal with emotions. If I get really excited, I feel like my whole body is suddenly filled with energy that is so strong and intense. It consumes me, and sometimes the feeling gets too much, and I have a meltdown. I’d really like people to know that autism doesn’t have an on and off switch, because I don’t think people always realize that or forget it. When you have a meltdown, it feels like someone else has suddenly taken control of your body, and you’re trying to gain the control back. It’s quite a scary experience because you feel as if you’re not responsible for your actions. You try and do loads of things like flap your hands, jump up and down, slap yourself, scream and cry, etc., as a way to let out the built-up energy and calm yourself down. 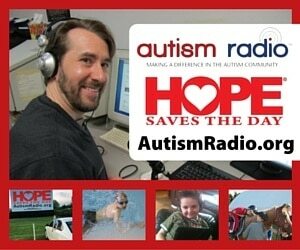 I wrote to Crissie once and told her that I was autistic. I’m not really sure if they know much about it, but whether they do or not, they never make me feel like I’m different. When I’m around them, I never feel pressured to have to say anything. Being autistic I have a slight processing delay. If I want to say something, but stutter and take a long time to get it out, they will patiently wait and listen with looks on their faces as if they are waiting to hear the most exciting, interesting thing they’ve ever heard. They started calling me their “number one fan” after I queued to see them at an album signing and live performance at HMV in London. There were crowds of people there, but Ben saw me and motioned me over. All of a sudden loads of photographers were snapping pictures, and Crissie held up my hand and said: “This is our number one fan.” It was the truly the most amazing, magical, surreal experience of my life. At that moment I felt like a celebrity on the red carpet. They were all looking at me and taking photos. The girl with autism who had spent so much of her life feeling invisible. I had never really felt special before. For many years I was convinced that I didn’t deserve to be happy because having a disability was a curse, so you obviously didn’t deserve to experience happiness. Then Crissie and Ben came into my life and for some reason they didn’t seem embarrassed to have a girl with a disability as a fan. So many times they’ve waved at me on stage, and given me a shout out in interviews on TV. One day I thought if they’re not embarrassed to have me as a fan, then why should I be embarrassed about being autistic? And now, whenever I feel nervous, scared, or like I can’t do something I just tell myself “I’m The Shires’ number one fan!” I can do anything. Crissie: It warms my heart to think she feels as she does. Many of our fans will say they have seen Madeleine and now everyone knows who she is. It is amazing that music can do that. Everything we do, we know Madeleine will see it, and that’s wonderful. Ben: When you realize your songs are the soundtrack of peoples’ lives it makes it all worthwhile. The fact it means so much it is very humbling. For me, writing songs is a real responsibility, and it makes us really happy that we can help someone. Madeleine just touched our hearts. At 16, Madeleine Sims was diagnosed with autism. Now 24, she lives at home in Essex, England, with her parents and brother, and works part-time in a fast food restaurant. She regularly writes on social media about her concert going experiences and her love of The Shires and says thank you to Crissie and Ben from the bottom of her heart. 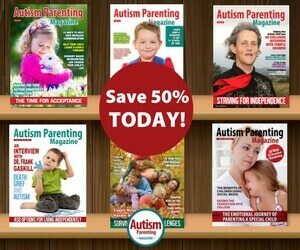 Madeleine Sims was diagnosed with autism. Now 24, she lives at home in Essex, England, with her parents and brother, and works part-time in a fast food restaurant. 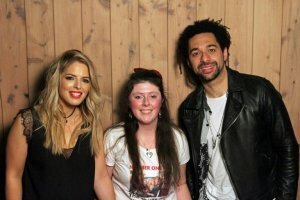 She regularly writes on social media about her concert going experiences and her love of The Shires and says thank you to Crissie and Ben from the bottom of her heart.